This is one of 2 cosy cottages overlooking Dooagh Bay only a stroll from Dooagh Beach, 1.75 miles from Keel village on Achill island joined to the mainland by causeway. An hours drive takes you to Castlebar and Westport. It is attractively furnished with open plan living area and spacious bedrooms and for larger family get togethers it can be booked with the two bedroom cottage. Electricity coin meter uses €2 coins, €2 electric coin meter, linen and towels included, No Smoking, travel cot, high chair, TV, dvd player, CD, freezer, microwave, realistic coal effect fire, shared w/machine, shared dryer, electric heaters, babysitting on request, hairdryer, electric blankets, uk tv channels, open plan shared garden, garden furniture, locked shed available for storage, off road parking. ~ There is a purpose built outside room which contains a washing machine, dryer and shower room with basin and toilet. There are no fewer than five Blue Flag Beaches in the area, all within easy reach of the holiday homes. Achill’s rugged landscape lends itself perfectly to a variety of outdoor activities including hillwalking up the islands two peaks, Slievemore and Croaghaun, sea angling in the Atlantic and Clew Bay, fresh water fishing in Achill’s many lakes (permits can be obtained from Achill Tourist Office), swimming from any of the Blue Flag Beaches and a variety of water sports. Achill Outdoors provides a number of courses for both adults and children in surfing, wind surfing and kayaking. The waters around the island have some fantastic scuba diving and Achill Dive Centre offers courses for all levels and equipment hire. The west coast of Ireland has some of the best links courses in the country. In addition to the local Achill Golf Club, Mulranny Golf Links , Westport Golf Club and Belmullet Golf Club are all within an hour and a half’s drive of Achill Sound. These holiday homes in Achill are less than an hour’s drive from the vibrant town of Westport which boasts an interesting selection of craft shops, traditional pubs and good restaurants. The well known Croagh Patrick mountain is 8Km from Westport and poses a challenge to any walker though the views from the top are spectacular! There is an interesting visitors’ centre at the foot of the mountain and adjacent to the National Famine Monument. 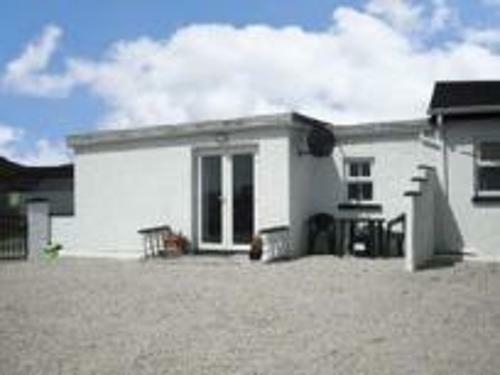 This is a fantastic base from which to explore the island and the nearby Mayo coast. Walking – Hill, Coastal walks ¼ miles. Traditional Music, Fishing ½ miles. Cycling, Childrens Playground, Bird watching 1 miles. Surfing, Horse riding, Golf, Climbing 2 miles. Pitch & putt 4 miles. Cinema 50 miles. Please contact the office on 061 335799.